My latest addition to my Tuesday Treasures is something that arrived in the mail today and I was thrilled to receive it. 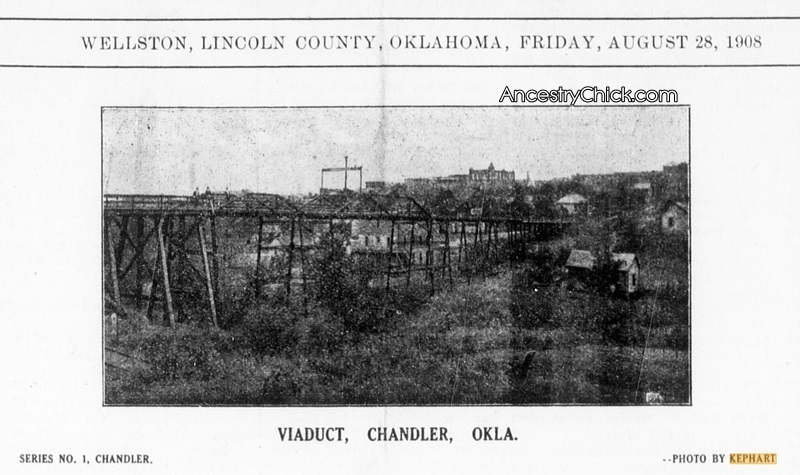 It is a photocopy of a photo that appeared in a book of some sort (still waiting to confirm which publication and its date). The photo is of Kephart's Photo Gallery from Wellston, Oklahoma, which belonged to my great grandfather, John Arthur Kephart. 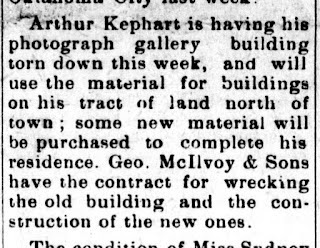 His business existed at the very least (based on my research) between 1908 and 1916. A little background is necessary here. 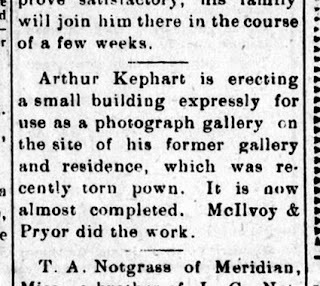 I need to point out that I never even knew that my great grandfather was a photographer until one day a couple of years ago. I was searching through old newspapers online from Wellston, Oklahoma, and I found a wedding announcement from 1908 for John Arthur Kephart and my great grandmother, Della Mae Swinford. 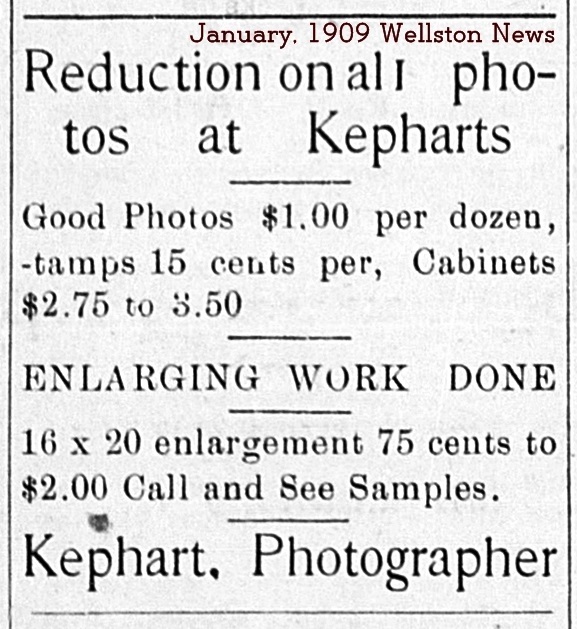 That announcement noted that my great grandpa had a photography business. This was just exciting to me. 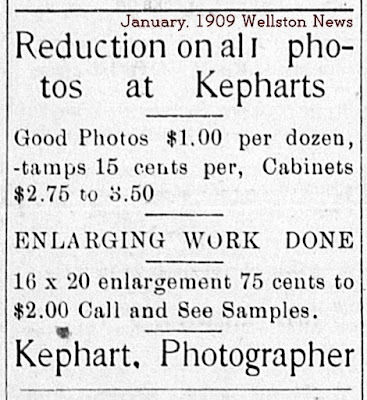 After finding that, I did some more searching and found various ads like the one below, in the Wellston News for his photography business. 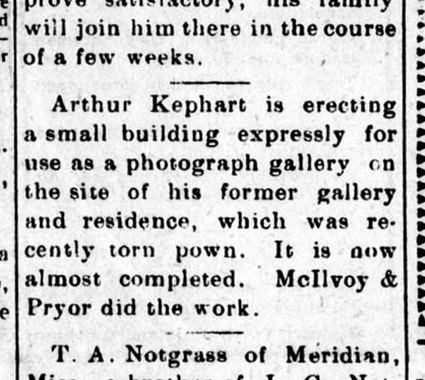 Grandpa Kephart must have been a pretty good photographer, because at least one of his photos was featured in the newspaper. 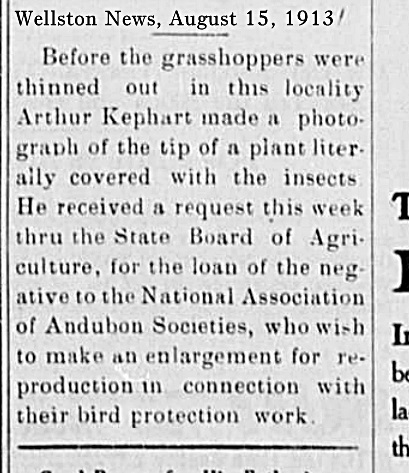 And the Audubon Society was also interested in one of his photos. 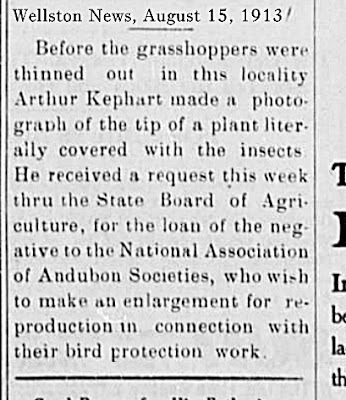 I don't think that photo was ever published though; I did a lot of research and some correspondence with the Audubon Society and was not able to locate any photo taken by him. It is nice to know they were interested though! 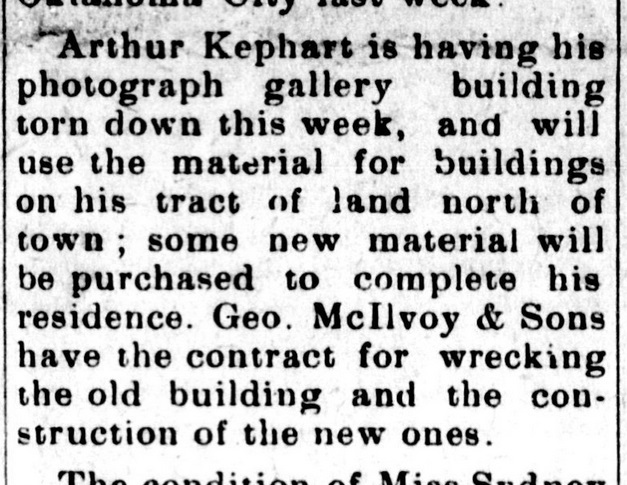 A little more digging and I discovered (still, a couple of years ago) that Grandpa Kephart had one photo studio, and then tore it down in 1916 and built another one in its place. Apparently the first one was his residence as well at that time. 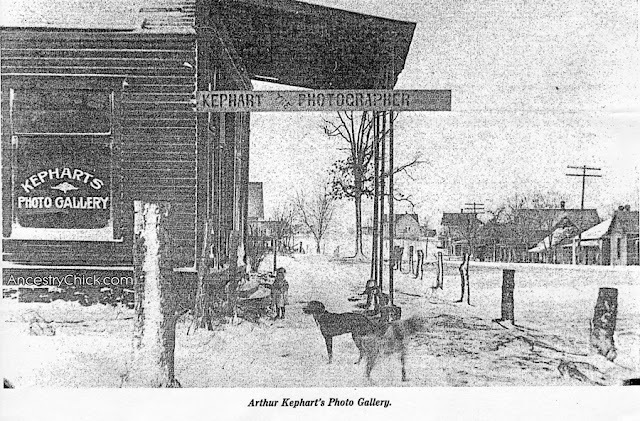 The part that is awesome to me, well at least one thing anyway, is that my mom did genealogy too, and she never mentioned that Grandpa Kephart had been a photographer. 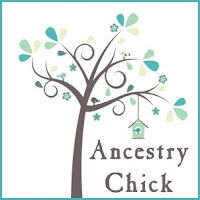 So to find all of this information in the past couple of years, and now the photo of his business is bittersweet--because she is no longer here for me to share it with her. She would have loved all of this, because she loved her grandparents so very much! I must add that the photo was found for me thanks to a wonderful worker, named Carol, at the Lincoln County Historical Society in Chandler, Oklahoma. She was looking for something else for me and just happened to find that photo. I'm so very glad she did! 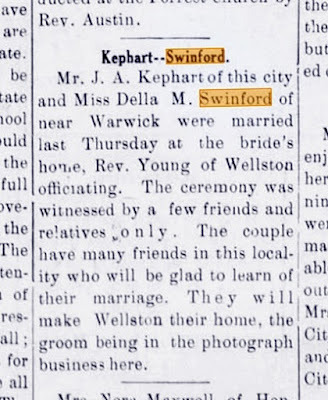 I am always digging for more information on my great grandparents, and with any luck I'll find more in the future. 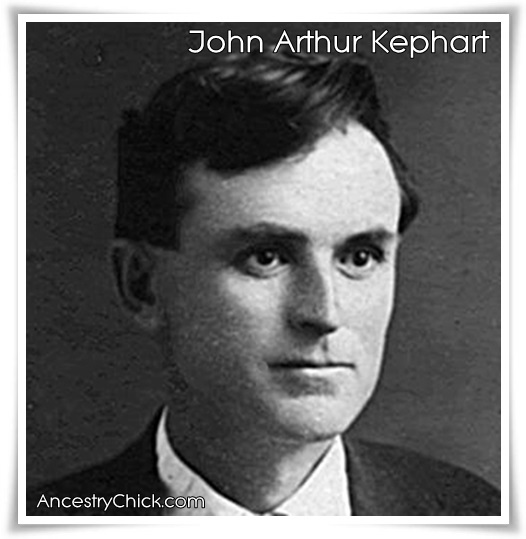 For now, I'll just end this with a photo of John Arthur Kephart. So you can see what my great grandpa looked like.